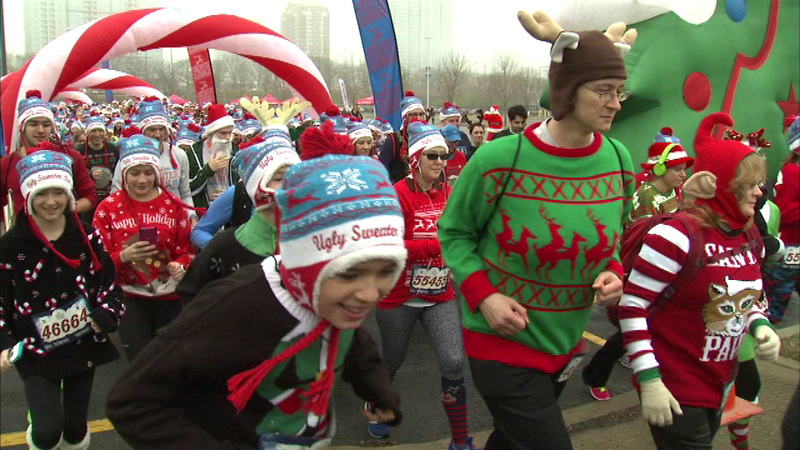 CHICAGO (WLS) -- Hundreds of adults and children took off from Soldier Field Saturday morning for the annual "Ugly Sweater Run." Runners took off from a foggy starting line wearing their most outrageous and festive holiday wear. The Ugly Sweater Run is a benefit for the "Save the Children" charity.